Jessica Simpson is best known as a dance-pop vocalist who rose to fame in the late '90s alongside teenage act 98°. Sweet Kisses, is Jessica's debut album which reached multi-platinum status. 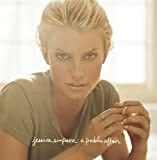 Jessica Simpson's new 13 track album featuring the title track single "A Public Affair". This live DVD includes 13 songs.